Kansas legislators voted Tuesday night to override a veto by Gov. Sam Brownback of a $1.2 billion tax increase. Sen. Gene Suellentrop, a Wichita Republican, urged colleagues to pass on their votes until Senate President Susan Wagle cast her vote. Passage of Senate Bill 30 with two-thirds majorities in the House and Senate brings to an end signature tax policies of the Brownback administration. Most of those policies were part of a 2012 law that exempted owners of more than 300,000 small businesses and became a political flashpoint in recent elections. At 109 days on Tuesday and counting, this year’s legislative session is now just five days from the longest, in 2015. With a tax plan complete and new school finance formula sent to the governor, the Legislature still must agree on the state budget. Floor debates on taxes ran late into Tuesday evening, but in the end, 27 senators and 88 representatives rendered Brownback’s veto — which had been handed down just hours earlier — irrelevant. It was the second time this session the governor sought to block legislation that would unravel 2012 tax reforms and raise revenue through a three-bracket income tax structure. The first time, in February, lawmakers fell three votes short in the Senate of pushing past his opposition. House Speaker Ron Ryckman was among those supporting the override and brought several conservative Republicans with him. The 88 yes votes included Republican Rep. Dan Hawkins of Wichita. “When our speaker hit green right away, he was trying to send a message to this whole body that he’s leading, come on and get it done. I couldn’t let him do it alone,” Hawkins said. Ryckman didn’t speak to reporters after the vote, but some of the people he brought on board, like Hawkins, are conservatives who do not like the idea of a tax increase. “I look at this as bittersweet. I don’t like the bill. I hate the bill, but we have to move forward as a state,” Hawkins said. Rep. Barbara Ballard, a Lawrence Democrat, described feeling tremendous relief, and said she believes many Kansans will share that sensation. Senate leadership split on the vote, with Vice President Jeff Longbine and Majority Leader Jim Denning supporting the override and laying out their reasoning on the floor. Senate President Susan Wagle, without comment, voted no. Denning said lawmakers had known since May 2014 that the tax cuts were leading to fiscal woes and not playing out as intended. He said while he voted for the 2012 changes, he believes in cleaning up one’s messes in life and planned to cast his vote accordingly. “I’m going to mop it up,” he said. Conservative Republican Sen. Dennis Pyle, of Hiawatha, drew on the nursery rhyme Humpty Dumpty in his appeal that colleagues uphold the veto. He suggested some lawmakers might think Brownback is like the main character in that poem, but it is in fact the spend-happy legislators who are shattered. Pyle accused Wagle of seeking to block a filibuster through procedure — a claim that she rebuffed — and Sen. Gene Suellentrop urged lawmakers to pass on voting until she voted first. Her last name means she comes second to last on the chamber’s alphabetical roll. “I want to know where our Senate president, our leader, what her position is, before I vote,” Suellentrop said, though when it came time, other lawmakers followed alphabetical order. 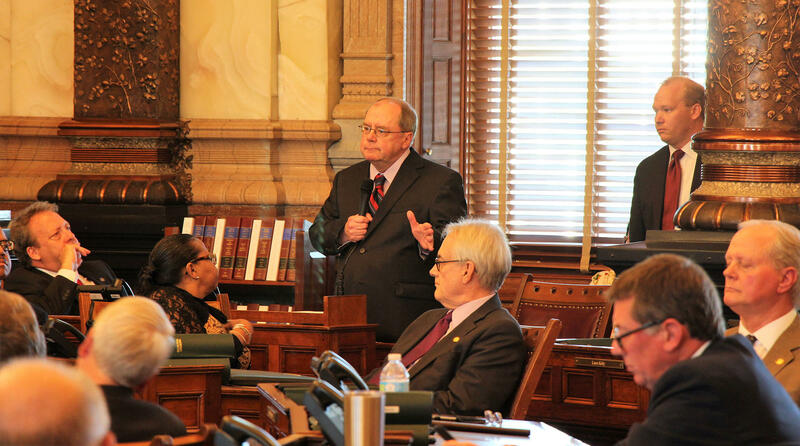 Senate Minority Leader Anthony Hensley of Topeka said that Democrats had foreseen repercussions for the state’s financial health when the tax cuts were approved in 2012. Much of the impassioned debate in the Senate came from conservative opponents of the bill, while many moderate Republicans and Democrats sat silent. Those who rose to comment rejected conservative’s claims that increasing taxes defies common sense. “From our side of the aisle, that tax plan didn’t receive a single vote,” Senate Minority Leader Anthony Hensley said of the 2012 cuts, adding that Democrats had foreseen repercussions for the state’s financial health. Sen. Tom Holland, a Baldwin City Democrat, said Kansas had been riding “the crazy train” and was long overdue for a solution. Some lawmakers expressed hope after Tuesday night that the Legislature could finish its work in Topeka this week. 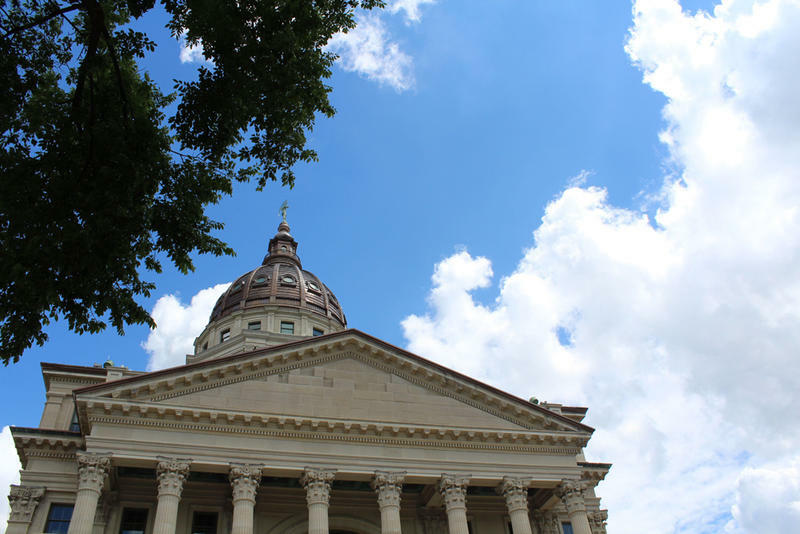 However, critics of the school finance bill that passed Monday have speculated the Kansas Supreme Court will likely strike down that legislation, sending lawmakers back to the drawing board, potentially necessitating a special legislative session later this summer. Kansas Public Radio Statehouse reporter Stephen Koranda contributed to this story. 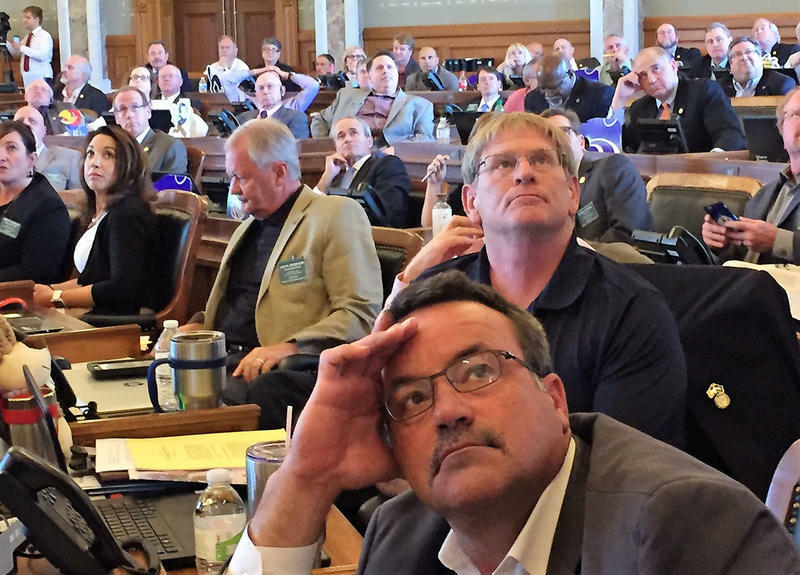 Kansas lawmakers are gearing up for an attempt to override Gov. 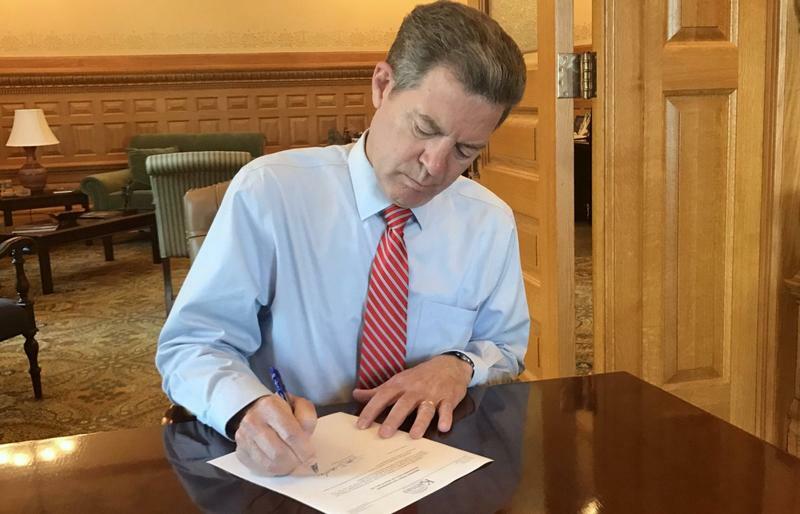 Sam Brownback’s veto of a tax increase. The House and Senate approved the plan overnight Monday and Brownback vetoed it Tuesday. In a statement, Brownback said Kansas has a “pro-growth” tax policy and the bill would be a step backward on that front. On Day 108 of the Kansas Legislature’s session, lawmakers got down to business. They passed a school funding bill that adds nearly $300 million over two years for public education, then they approved a $1.2 billion tax plan. But minutes after the Senate’s 26-14 tax plan vote, Gov. Sam Brownback said he would veto the package, which would put more than 300,00 small businesses and farmers back on the tax rolls, add a third income tax bracket and restore a number of tax deductions and credits. 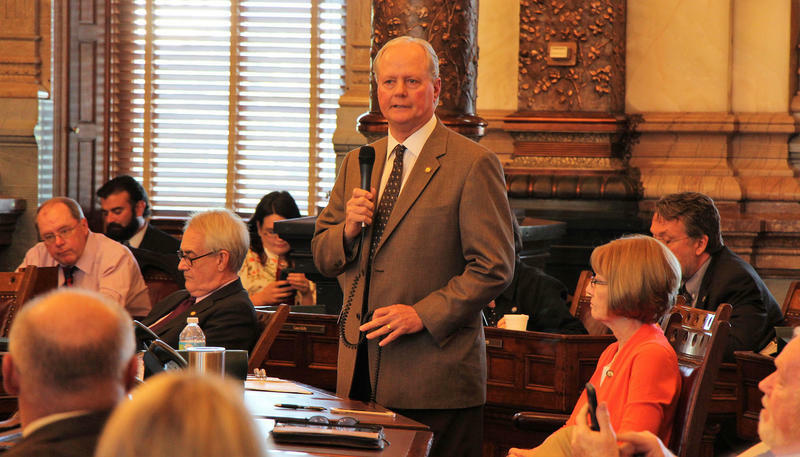 A school finance plan that will add nearly $300 million over two years gained approval Monday night in the Kansas Legislature and now moves to Gov. Sam Brownback for consideration. Lawmakers faced a June 30 deadline to increase school funding after a March ruling from the Kansas Supreme Court that said current funding is inadequate. During debate, some lawmakers raised concerns that the $300 million plan will not satisfy the court and could make a special session likely. 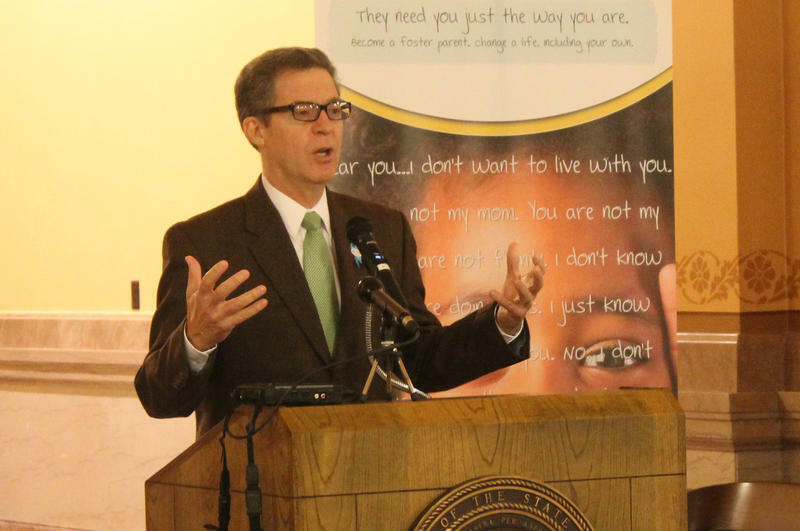 A bill to replace funding for Medicaid and the Kansas mental health system lost to budget-balancing cuts last year is headed to Gov. Sam Brownback. Senate substitute for House Bill 2079 would increase a fee that health maintenance organizations, or HMOs, pay to do business in Kansas from 3.31 percent to 5.77 percent. HMOs are a type of health insurance that typically has lower premiums but only covers care within a network of doctors and hospitals.